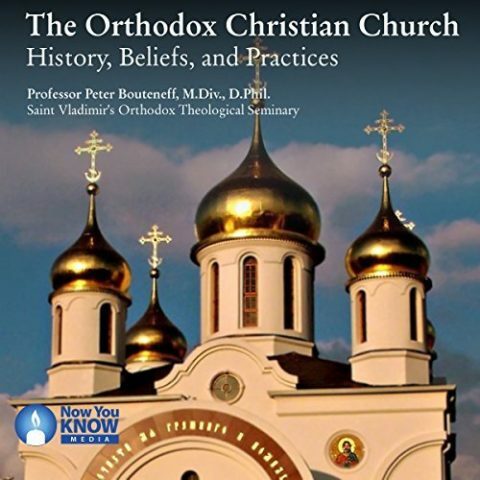 I recently read Dr. Peter Bouteneff’s overview of Orthodox Christianity, The Orthodox Christian Church: History, Beliefs, and Practices. I had previously read Medieval Christianity: A New History about Catholicism, as well as Wrestling the Angel about Mormonism. Bouteneff does a brilliant job comparing the theology of Orthodoxy to both Catholicism and Protestantism. 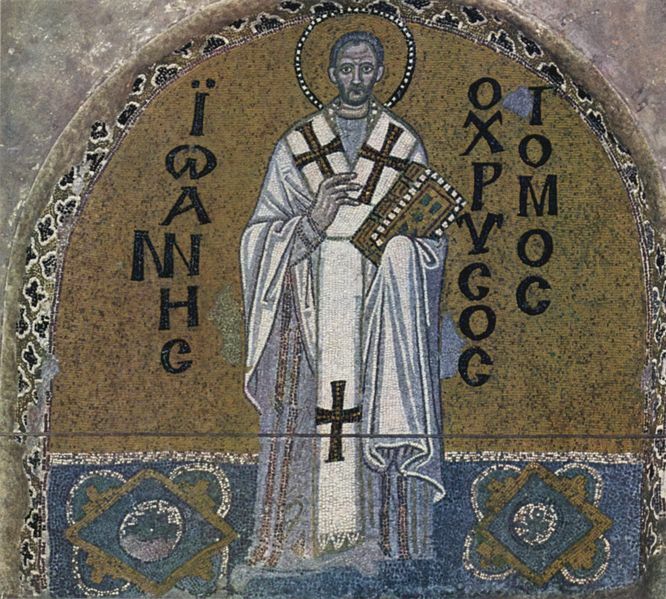 The continuity of the Orthodox with the Catholic tradition, combined with the affection of many early protestants for thinkers still revered by the Orthodox like John Chrysostom — and of course the skill of the author — make this straightforward. Many of the differences strike one as a change in emphasis (whether the Trinity is emphasized as being One-God-in-Three-Persons or Three-Persons-in-One-God, for example), pastoral practices (emphasizes a holistic imitation of Christ or an enumerated list of deeds to perform or not), and yet-to-be-unpacked legacies of linguistic fossils (such the specific formulation of Mary’s conception without sin, taught by both Catholics and Orthodox). More interesting to me were the ways in which the Orthodox Church seems to be a version of the Catholic Church that never experienced the Middle Ages. (This can be rephrased as saying the Catholic Church is an Orthodox Church that experienced the Middle Ages). Three medieval waves that affected Medieval western Christianity — the Friars, the Councils, and the Counter-Reformation — simply did not occur. A fourth difference — the humiliating surrender of the Orthodox Church to the Turks – is totally elided by Bouteneff. Another phenomenon — the difference in what constitutes the "Scriptures" between the Orthodox and other Christians — is likewise left out. Christ’s specific commands require being a better individual, spreading, the Gospel, and serving others. The friars’ focus on the Great Commission was an intentional attempt to rebalance these three, after the long middle ages where self-improvement through the glorification of God in prayer had become almost the exclusive focus on Christianity. Orthodoxy was not affected by the friars reform movement at the time, and throughout Bouteneff’s book service and teaching are barely mentioned. Likewise, the Orthodox Church was unaffected by the Counter-Reformation, a Catholic movement aimed at correcting the abuses of an increasingly centralized church — a situation that did not exist on the ground for the Orthodox. 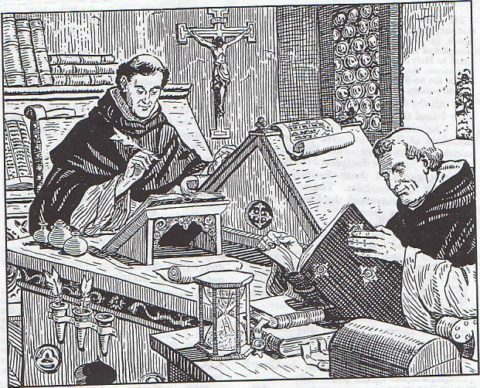 The Counter-Reformation’s focus on the Bible as a foundation to the faith was a useful tool for clearing away corrupt practices, such as the selling of indulgences or the Vatican charging for the use of specific paper in letters written to it. But it also lead to a loss of very old traditions that the Orthodox retain. The cycle of Saint Anne from the Protoevangeliun, for instance, is almost completely missing from Catholic churches but a focus of the Liturgy in Orthodox parishes. Bouteneff does not describe why this difference exist. The history of western Christianity barely exists in this text (even as a mechanism for giving reader context). But if I had to chose a cultural source of the difference, I would put it at Pope Innocent III. Orthodox readers may know Innocent as the Pope who organized the Fourth Crusade. But Innocent also brought the Holy Roman Empire to heel, as well as used the power of the papacy to address local corruption in this west. Innocent’s organizational and political brilliance, whatever else one thinks about him, changed the nature of the Papacy forever. It created a central mechanism (or opponent) for all future reform movements — the Bishop of Rome — and by investing the Papacy with its own political power, allowed it also to become a meaningful source of corruption. Orthodoxy had neither this opportunity nor this risk. 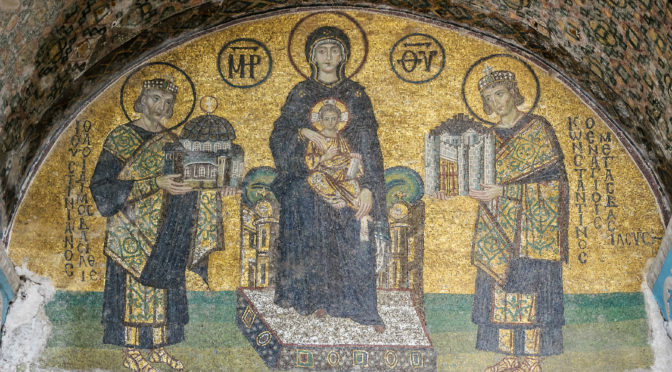 During the Byzantine era, the Orthodox Church was a tool of the state. 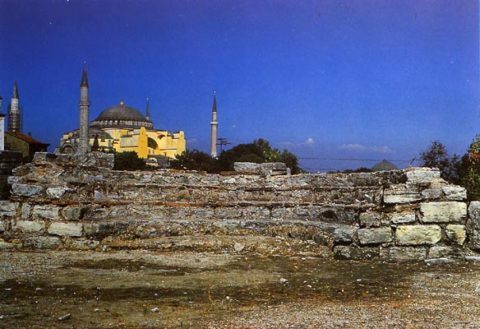 Afterwards, during the Ottoman era, the Orthodox Church was a tool of a Muslim state. 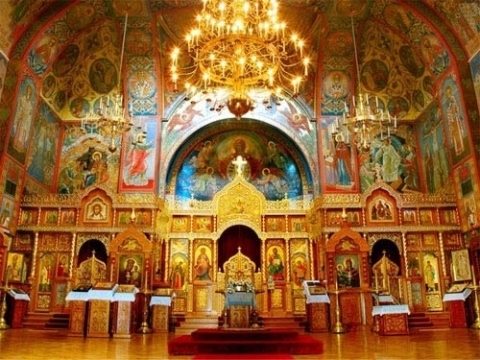 The Orthodox Church has spent less than a century spread throughout nations in a manner similar to what the Catholic Church has spent 2,000 years. This is not trivial. 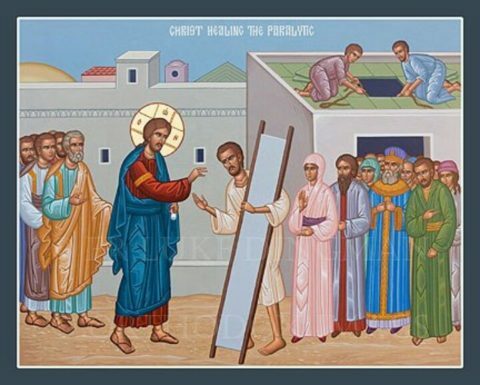 Since we have heard that some who went out from us have troubled you with words, unsettling your souls, saying, "You must be circumcised and keep the law" — to whom we gave no such commandment — it seemed good to us, being assembled with one accord, to send chosen men to you with our beloved Barnabas and Paul, men who have risked their lives for the name of our Lord Jesus Christ. 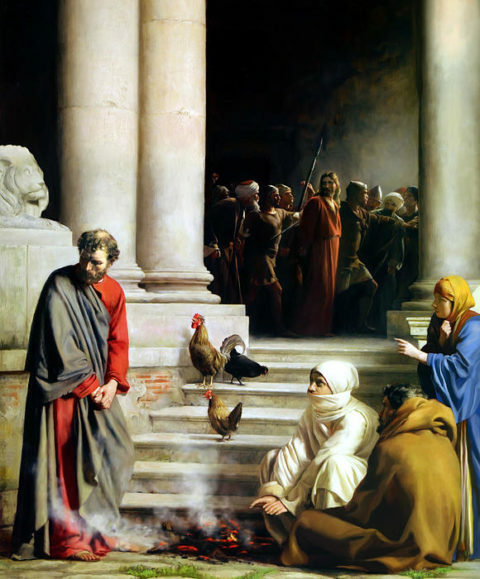 We have therefore sent Judas and Silas, who will also report the same things by word of mouth. For it seemed good to the Holy Spirit, and to us, to lay upon you no greater burden than these necessary things: that you abstain from things offered to idols, from blood, from things strangled, and from sexual immorality. If you keep yourselves from these, you will do well. The text states the "whole church" chose to send missionaries and also wrote a letter. But what does it mean for the "whole church" to make such a plan? The Catholic view is that a Council has the ability to speak for the whole Church. The Orthodox view (since the Catholic-Orthodox split int the 15th century) is that a Council’s actions are only valid if it speaks for the whole church. So which is it? This theoretical difference came to ahead after the Orthodox Church in 1439, when a legally convened Council united the Orthodox and Catholic Churches after a series of confusions and misunderstandings. Let the heavens be glad and let the earth rejoice. 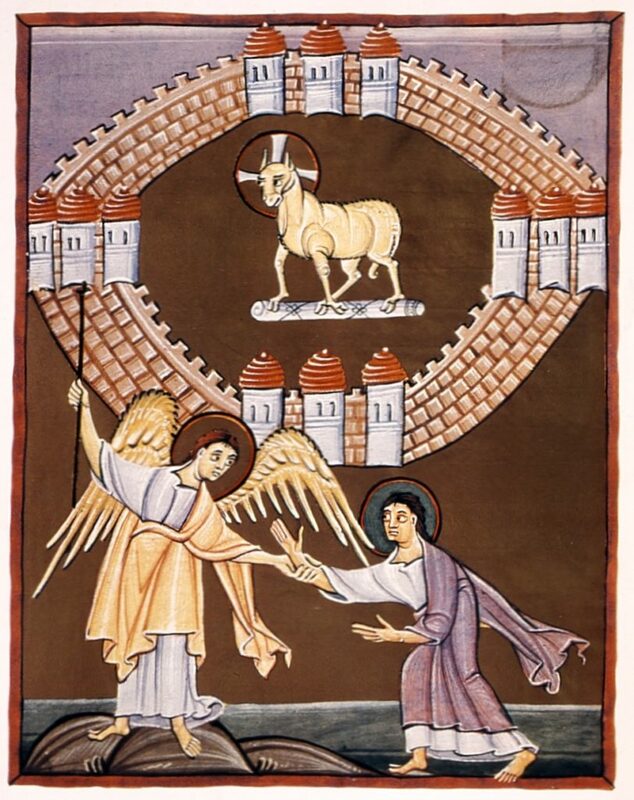 For, the wall that divided the western and the eastern church has been removed, peace and harmony have returned, since the corner-stone, Christ, who made both one, has joined both sides with a very strong bond of love and peace, uniting and holding them together in a covenant of everlasting unity. After a long haze of grief and a dark and unlovely gloom of long-enduring strife, the radiance of hoped-for union has illuminated all. Let Mother Church also rejoice. 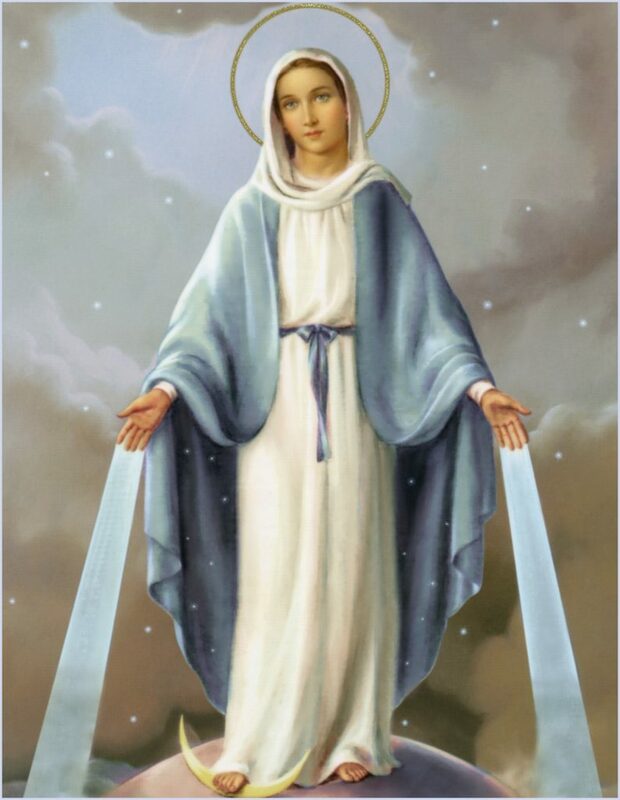 For she now beholds her sons hitherto in disagreement returned to unity and peace, and she who hitherto wept at their separation now gives thanks to God with inexpressible joy at their truly marvelous harmony. Let all the faithful throughout the world, and those who go by the name of Christian, be glad with mother catholic church. For behold, western and eastern fathers after a very long period of disagreement and discord, submitting themselves to the perils of sea and land and having endured labors of all kinds, came together in this holy ecumenical council, joyful and eager in their desire for this most holy union and to restore intact the ancient love. In no way have they been frustrated in their intent. After a long and very toilsome investigation, at last by the clemency of the holy Spirit they have achieved this greatly desired and most holy union. Who, then, can adequately thank God for his gracious gifts?’ Who would not stand amazed at the riches of such great divine mercy? Would not even an iron breast be softened by this immensity of heavenly condescension? Later, the Orthodox side — without a further Council — withdrew from the agreement. Indeed, to do so the Orthodox discovered a new doctrine that they had previously rejected, that a Council is not an agent or meeting place of agents of the church — a Council cannot make "the Whole Church" agree, but the actions only become binding if sometime afterwards "the whole Church" agrees. But elsewhere he insists on the validity of the Council of Chalcedon, even though numerous Orthodox national churches do not agree to that council to this day. I do not understand the logic behind this. I was disappointed more was not said about what makes the Orthodox definition of Scriptures unique. 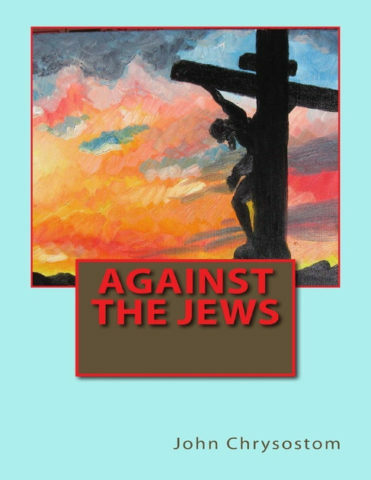 I have read and enjoyed books which the Orthodox consider to be part of the Bible, such as the Prayer of Manasseh and the Second Book of Esdras. 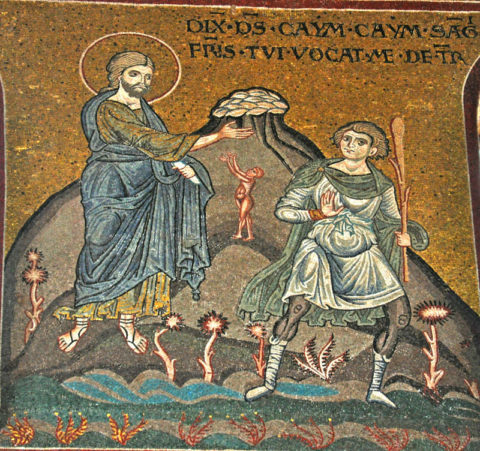 Likewise there are some books accepted by some Oriental Orthodox that are rejected by the mainline Orthodox Church, such as the Book of Enoch. I’m familiar with the Protestant reason for rejection of some Catholic scriptures like The Books of the Maccabees and Book of Tobit, but not why the Orthodox have kept some additional books and rejected others. The difference in the definition of "Scriptures" is briefly mentioned, but no reasons for it are given. This is especially disappointing as I enjoyed Bouteneff’s description of Tradition as understood by Catholics and Orthodox. Unlike Protestant denominations, the Orthodox churches in their current form were recognizably part of the Catholic Church during the time the Canon was decreed. As such, Orthodoxy-Catholocism was one religion that formed the Bible, not (like the Protestant churches) religions formed from the Bible. Indeed, the first bishops and even the first Pope are active in their offices during the events of the Bible! Thus, the Bible is a subset of the Tradition — those things passed down from ancient times. Bouteneff also describes Tradition in another way, as a method for making sense of the Bible by placing it in its proper context. This made a great amount of sense to me. But the Tradition is ultimately described in more detail and with no attention than the Bible itself — perhaps there is a message in this. The role of reform movements, and the role of Councils, lead to a topic so momentous in its importance that Bouteneff’s complete avoidance of it is shocking: the Turks. The context of literally every Orthodox decision, from and including the repudiation of the Council of Reunion, was under Turkish influence. The "saint" who encouraged apostasy from the rest of Christendom and the end of the common communion of Christians, Mark of Ephesus, was a bishop in an Ottoman town soon eradicated by the Turks. The actions of the Orthodox leadership during the fall of the Byzantine Empire is comparable to the Judenrat under the Nazis. The waves of reform and counter-reform — of Martin Luther, John Calvin and the Council of Trent — all occurred in societies at least nominally Christian. The rejection of both the Reformation and the Counter-Reformation by the Orthodox, by contrast, was pre-decided by the Turks. Even now the first-among-equals of the Orthodox Church, Patriarch Bartholomew, serves only under Turkish law and at Turkish pleasure. The primary seminary in Orthodoxy, Halki, was extinguished by the Republic of Turkey Perhaps Bouteneff is silent to prevent an even greater eradication. This is not to deny the faith or suffering of the Orthodox during the Turkish centuries — which for the Patriarchate of Constantinople, continue to this day. 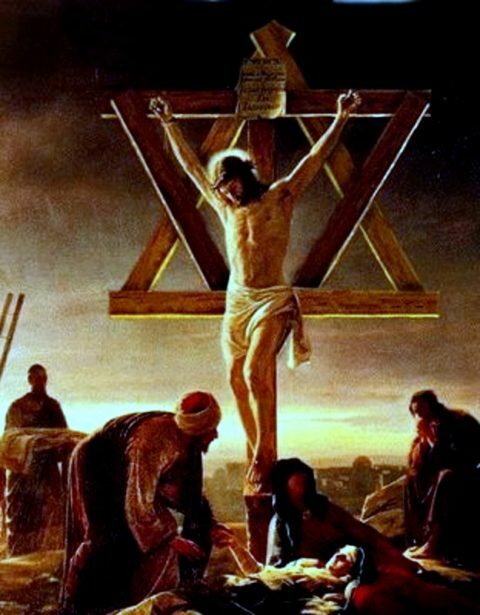 Rather, it is to recognize that the Orthodox are churches on the cross, like the crucified Nestorian Church of the East, imprisoned by an anti-Christian powers that are hostile to the Gospel. There is literally nothing, at all, from Bouteneff about this. No recognition of any sort of the Turkish influence on the Orthodox community, or of the ongoing consequence of the Turkish captivity. This fault is so grave and monumental that it forces one to question the selection of any topic or fact in this work. The Orthodox Christian Church: History, Beliefs, and Practices is a fine introduction to the Orthodox churches, Christian communities that split from Rome around five hundred years ago under grave Turkish pressure, but whose history involved only minimal exposure to the Friars, the Pontifical movement, and other aspects that defined the High Middle Ages and the Modern World. 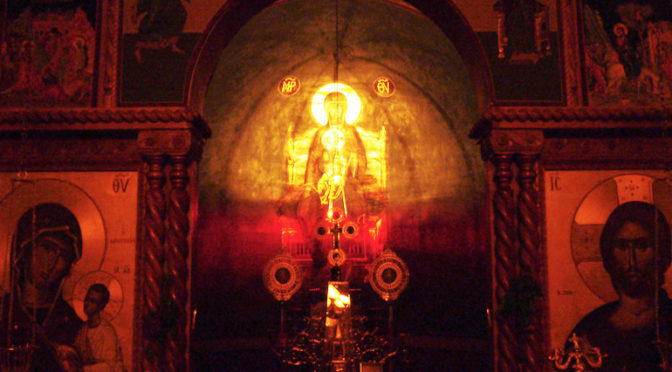 Much of the emphasis of the Orthodox Church preserves an older tradition of Christianity and has much to recommend it. But for reasons never discussed or acknowledged, Bouteneff ignores the fundamental fact of Orthodox history — the Turkish captivity — and leaves the consequences of that collective martyrdom to the imagination of the reader. I read The Orthodox Christian Church: History, Beliefs, and Practices in the Audible Edition. 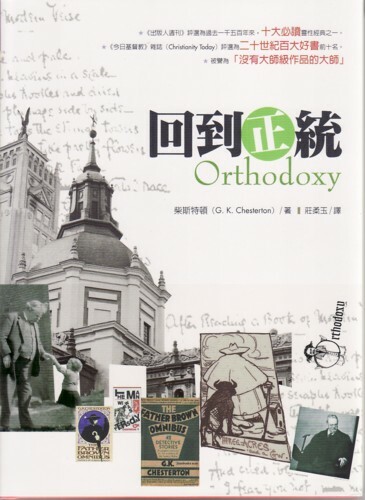 I previously read The Man Who Was Thursday (1908) and The Everlasting Man (1925) by G.K. Chesterton, so I was interested in Orthodoxy (1908), his description of Christianity. Chesterton falls short of the St. Augustine’s Confessions (400) and C.S. Lewis’s Mere Christianity (1952). Additionally, and oddly, his description of Buddhism is odd, and as this was repeated two decaldes later in Everlasting, I wonder if he relied on some treasured, if incorrect, source. Yet the book is thought provoking, and was not a waste of time. Confessions is the psychological autobiography of a rich kid finding himself, and finding God. Mere Christianity is an easy to read introduction to very common Christian ideas. Orthodoxy is neither of these. Very little about Chesterton or his life is discussed, but the tone of elevated and somewhat archaic. It feels like a document from another civilization, with rhetorical techniques that seem both clever and artificial. The best parts of the work are those that tease Chesterton’s later work, The Everlasting Man. There’s some really funny lines about the press, showing that fake news and the quality of news media as the hobbies of the rich were also true a century ago. This is the tone of fairy tales, and it is certainly not lawlessness or even liberty, though men under a mean modern tyranny may think it liberty by comparison. People out of Portland Gaol might think Fleet Street free; but closer study will prove that both fairies and journalists are the slaves of duty. The question of whether miracles ever occur is a question of common sense and of ordinary historical imagination: not of any final physical experiment. One may here surely dismiss that quite brainless piece of pedantry which talks about the need for “scientific conditions” in connection with alleged spiritual phenomena. If we are asking whether a dead soul can communicate with a living it is ludicrous to insist that it shall be under conditions in which no two living souls in their senses would seriously communicate with each other. The fact that ghosts prefer darkness no more disproves the existence of ghosts than the fact that lovers prefer darkness disproves the existence of love. If you choose to say, “I will believe that Miss Brown called her fiance a periwinkle or, any other endearing term, if she will repeat the word before seventeen psychologists,” then I shall reply, “Very well, if those are your conditions, you will never get the truth, for she certainly will not say it.” It is just as unscientific as it is unphilosophical to be surprised that in an unsympathetic atmosphere certain extraordinary sympathies do not arise. It is as if I said that I could not tell if there was a fog because the air was not clear enough; or as if I insisted on perfect sunlight in order to see a solar eclipse. The exact same logic can be used ot defend the existence of “grey aliens” of course… who share many aspects with elves, or demons. This intersection between religion and the paranormal is a hidden theme of The Fellowship: The Literary Lives of the Inklings: J.R.R. 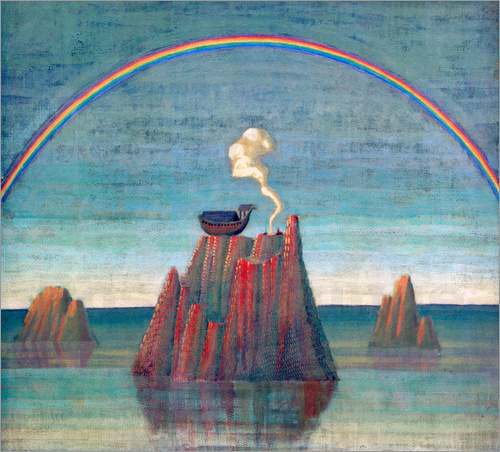 Tolkien, C.S. Lewis, Owen Barfield, Charles Williams (2015). Similar themes appear in C.S. Lewis’s That Hideous Strength (1945) and Michael Heiser’s The Facade, and the first half of Colin Wilson’s The Mind Parasites (1967). I’ve been in Chinese Buddhist temples, and this is simply incorrect. Buddhist and Catholic sculpture, in particular, often use the same trick of having the statue looking forward and down, so the viewer must kneel and look up to see the statue’s eyes. 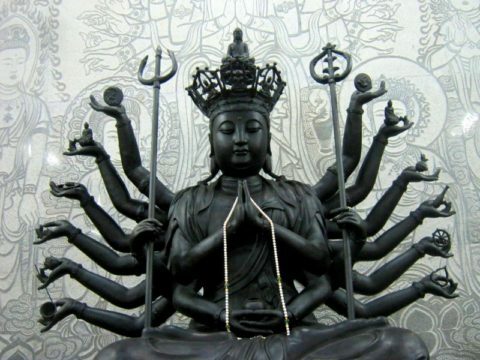 For example, consider Guanyin the Goddess of Mercy, an amalgamation of a traditional figure in Chinese religion with a historical disciple of the Buddha. The emotional impact to a Chinese Buddhist of looking up at Guanyin’s (the Goddess of Mercy’s) compassionate eyes must be similar to kneeling and looking up at the eyes of Our Lady of Sorrows. Worse for Chesterton’s argument, just as Mary is often the character of dramatic performances (from nativity plays to more involved medieval passion plays), so is Guanyin. The extension of her many arms, to help every creature, is performed yearly in front of an audience of hundreds of millions on Chinese television (with her eyes open, of course). Chesterton, attempting to show a difference between Christianity, raises a deeper question: why are non-Christian traditions so like shadows of Christian ideas? One answer is that it is the devil mocking Christ. Another it is the King of the Universe making straight the way of the LORD. In Mere Christianity, C.S. Lewis argued that such non-Christian depictions of Christian themes are simplified hagiophanies, appearances of the holy, “good dreams” whispered by the Holy Spirit. Yet that comment about “tradition” brings up another point, and one Chesterton does not spend enough time on. Tradition is the democracy of the living and the dead. In the same way a federal government with checks and powers aggregates different factions to promote the general welfare, preventing any one from being a tyranny, tradition is a block on the tyranny of the age. the statement that voters in the slums are ignorant. It will not do for us. 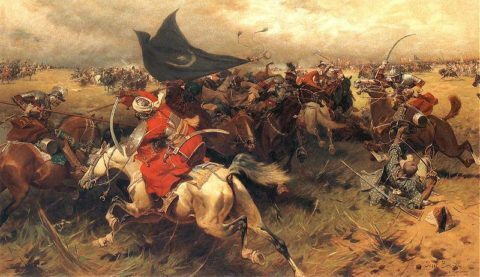 If we attach great importance to the opinion of ordinary men in great unanimity when we are dealing with daily matters, there is no reason why we should disregard it when we are dealing with history or fable. Tradition may be defined as an extension of the franchise. Tradition means giving votes to the most obscure of all classes, our ancestors. It is the democracy of the dead. Tradition refuses to submit to the small and arrogant oligarchy of those who merely happen to be walking about. All democrats object to men being disqualified by the accident of birth; tradition objects to their being disqualified by the accident of death. Democracy tells us not to neglect a good man’s opinion, even if he is our groom; tradition asks us not to neglect a good man’s opinion, even if he is our father. I, at any rate, cannot separate the two ideas of democracy and tradition; it seems evident to me that they are the same idea. We will have the dead at our councils. The ancient Greeks voted by stones; these shall vote by tombstones. It is all quite regular and official, for most tombstones, like most ballot papers, are marked with a cross. So, Orthodoxy is an odd book. In some ways its as inaccessible as Confessions and as impersonal as Mere Christianity. But it is thought provoking. I didn’t expect my review to tough on both UFOs and political philosophy, though here we are. It’d recommend Chesterton’s other books first, and C.S. Lewis before them, but Orthodoxy should be preserved, lest it is forgotten. I listened to Orthodoxy on unadbridged audible.